" Where only mother nature can do it better"
Can be formal or informal, straight or winding. Modern sheik or rustic stepping stones. Sidewalks can even be gravel paths, just so it gets you from point A to point B. We can build them out of concrete products as well as stone. Whatever your vision is Davison's can build it for you. 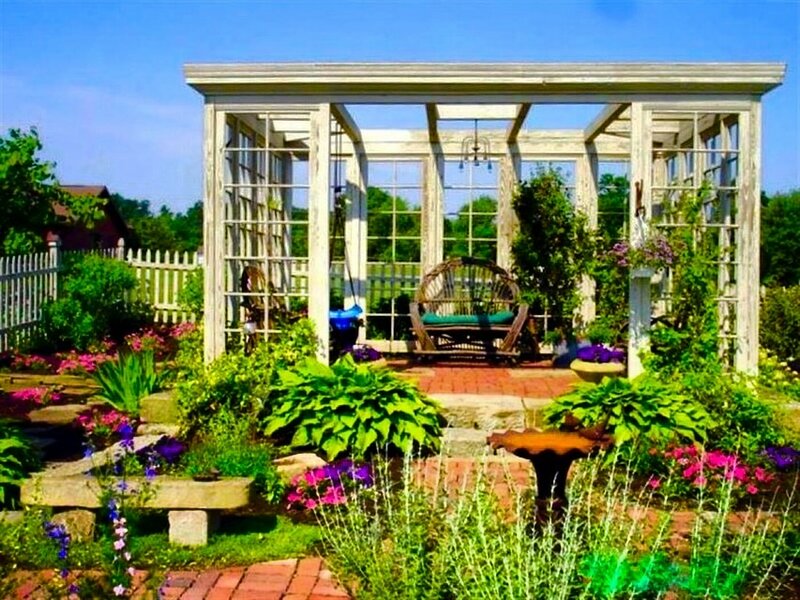 From relaxing on your deck after a hard days work, to watching wisteria or a climbing rose grow over the arbor. A pergola can shade you while entertaining on your new patio. 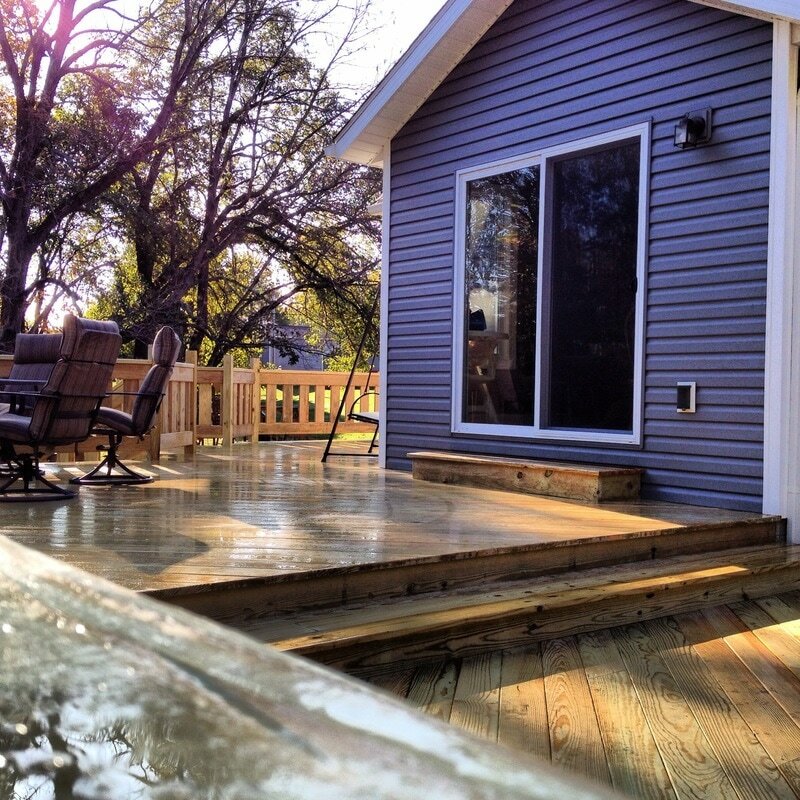 We can build them from treated lumber, cedar, exotic hardwoods, or vinyl products. Depending on budget, yours can be custom or a kit. The limit is up to you the client. can be a necessity or just for aesthetic pleasure. 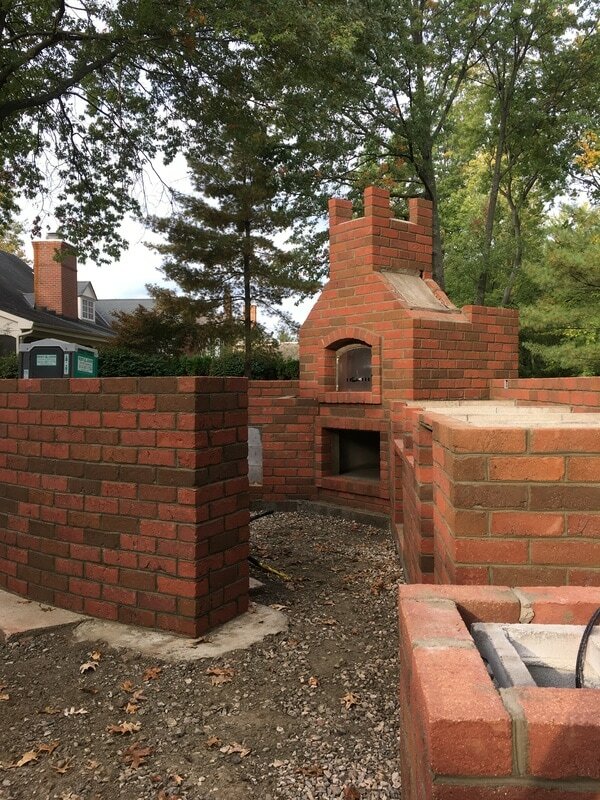 Whether you need to move a hillside back to gain more space or you want to sit on a seating wall while watching the fire in your new pit. 4 Seasons builds them to last, using the most up-to-date practices or we can get them engineered. 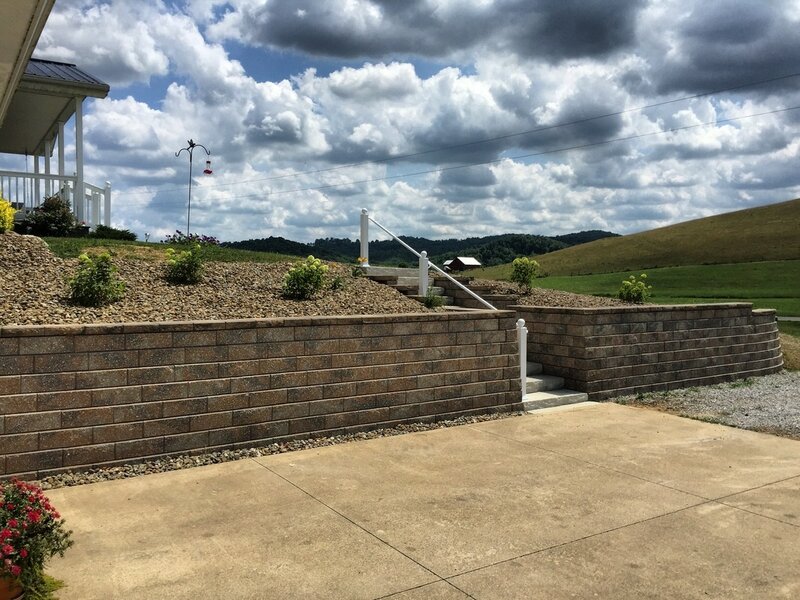 Walls can be made from block, stone, or timber, just as long as it serves its purpose. serve as a wonderful place to soak up the sun by your new pool, or plan that family get-together you've been putting off because of space constraints. Patios can be raised and take the place of a deck, or ground level. We build them out of almost any material. 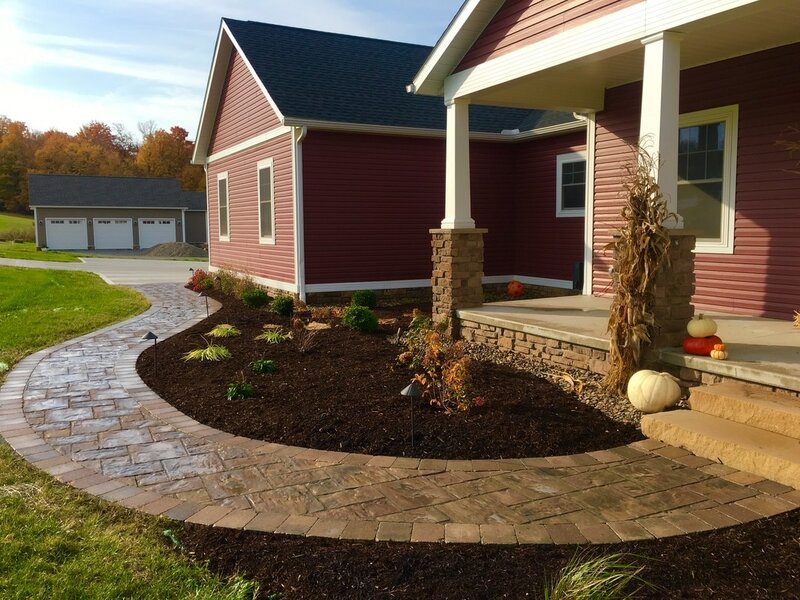 Some examples are stone, concrete, pavers, slabs, brick, or wood. We can also do them out of artificial turf. Whether you want a putting green , dog run, or less yard to mow, just let us know how we are able to help. help you traverse those difficult elevations. 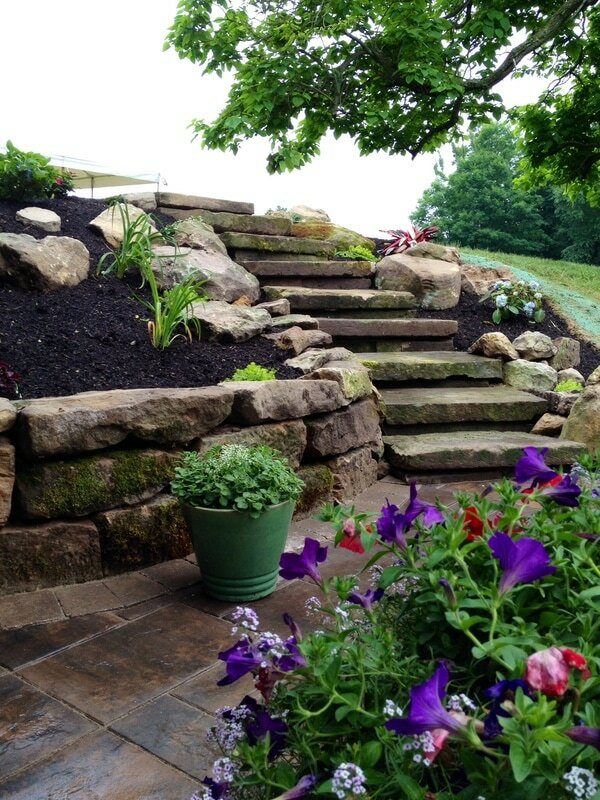 Davison's 4 Seasons build them out of whatever will work on your property and matches the surrounding. We have built them from pre-cast concrete products, natural stones and cut stones, even wood and recycled materials. Just as long as they are safe and can get you from point A to point B.
when you really want to step up to the next level of family entertainment. They include grill, fireplaces or fire pits, counters with sinks and refrigerators, and seating. This can be done under a pavilion, breezeway, 3 or 4 season room, or the open air. We can bring it to reality. 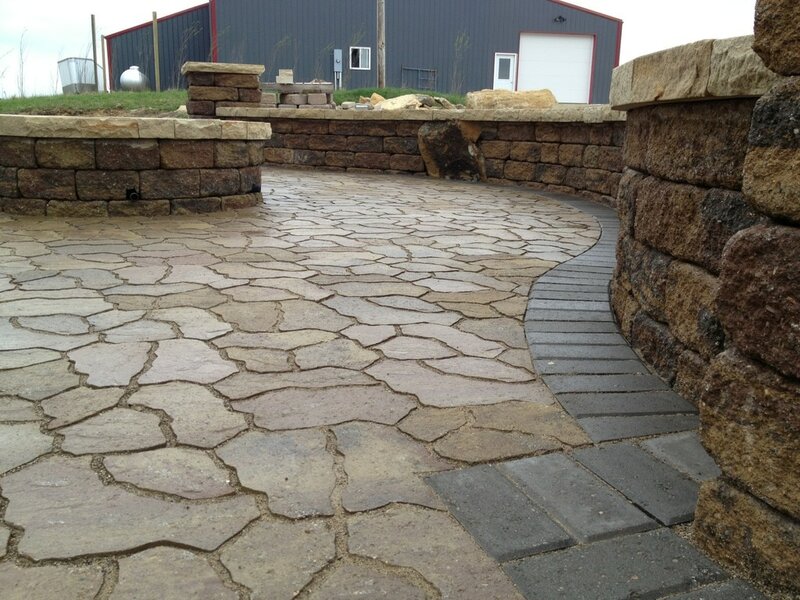 Is a great addition to any landscape, patio, retaining wall, and more. 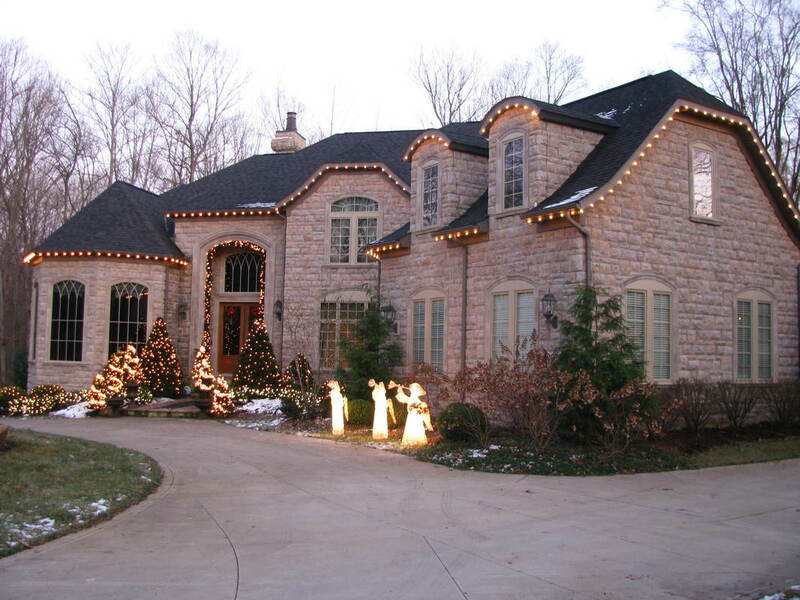 Lighting will enhance the property, add value, and can be used for safety and security. 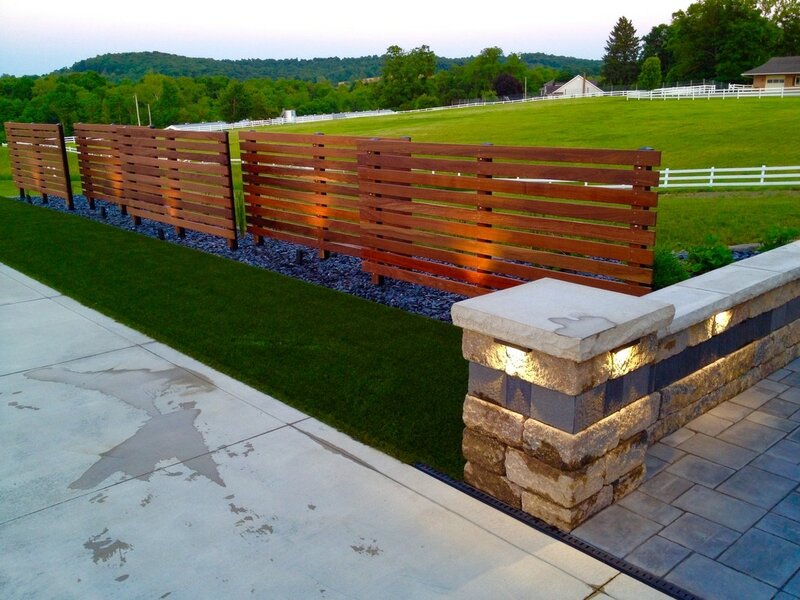 Lighting can accent a fence, wall, tree or shrub, and walkway. 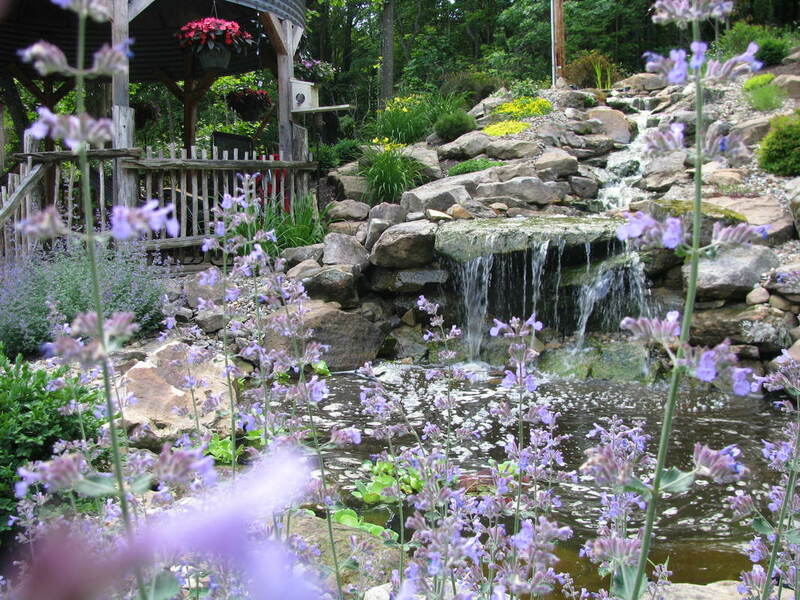 Most everyone will agree that water in the landscape is a calming and relaxing addition. Listening to water bubbling up out of a boulder, cascading over a falls, or a sheer falls out of a custom built waterfeature is an excellent way to unwind. In some cases they can be enjoyed all year long. Whether you have grown tired of the existing softscape and want to revamp or installing a new flower bed, plants are nature's way of softening the world around us. 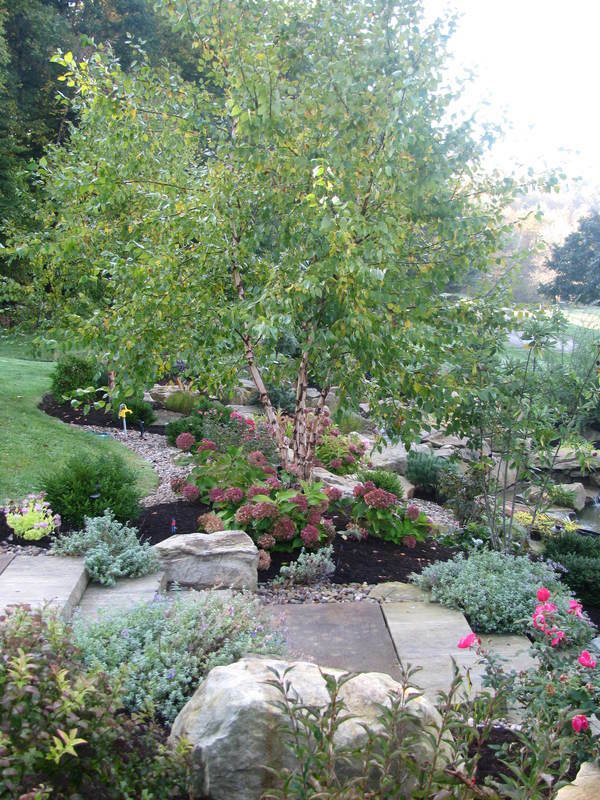 We will install the perfect combination of flowers, shrubs, and trees that give your flower beds almost year- round interest. they give you that warm fuzzy feeling when Christmas is near! We are an authorized distributor of Brite Ideas lighting. This allows us to offer unique products most people cant offer. Davison's put the lights up, take them down, and even store the lights for you as well.